Landscape and horticultural technicians and specialists survey and assess landscapes; draw sketches and build models of landscape designs; construct and maintain gardens, parks, golf courses and other landscaped environments; advise clients on issues related to horticulture; breed, cultivate and study plants and treat injured and diseased trees and plants. Landscape and horticultural technicians and specialists generally have standard hours, however, extended work hours are common during peak seasons and there may be periods of seasonal unemployment. They typically work outside where they may be exposed to extreme weather conditions, though for landscape designers, some work is done indoors. The work is often dirty and can involve the use of dangerous equipment, such as chain saws and chippers, and toxic chemicals, such as fertilizers and pesticides. Arborists are required to work at heights from ladders, from boom trucks or by climbing trees. Workers follow safety precautions to limit risk of injury. Completion of a university or college program in agronomy, arboriculture, horticulture, landscaping, landscape design or landscape technology is usually required. However, some workers may learn through on-the-job training. Work experience as a landscape and grounds maintenance labourer may be required for employment as a golf course superintendent, landscape gardener or landscaper. In B.C., the Industry Training Authority (ITA) offers apprenticeship programs leading to trade certification for landscape horticulturists and production horticulturists. An apprenticeship program for arboriculturists is currently under review. These apprenticeships last approximately four years and can be started in secondary school, through entry-level training at colleges and technical institutes, or by direct entry to the workforce. All apprenticeships require workers to find a sponsor employer who is willing to participate in the program. For more information, see the ITA website at: www.itabc.ca. Professional certification is available for qualified horticultural technicians, landscape professionals and landscape designers through the British Columbia Landscape and Nursery Association (BCLNA). Although certification is not required, it will typically increase employment opportunities. To become certified, individuals must complete several years of work experience or a combination of work experience and a recognized post-secondary horticultural program, and must pass a series of written and practical examinations. BCLNA certification is transferable between provinces. For more information, see the BCLNA website at www.bclna.com. Professional certification is also available for landscape and horticultural technologists and technicians through the Applied Science Technologists and Technicians of British Columbia (ASTTBC). Completion of a diploma program and two years of work experience are required for Applied Science Technologist (AScT) designation and completion of a certificate program and two years of work experience are required for Certificate Technician (CTech) designation. For more information, see the ASTTBC website at www.asttbc.com. Certification for arborists is available through the International Society of Arboriculture, Pacific Northwest Chapter (PNW-ISA). To become certified, arborists must complete three years of industry work experience, or two years plus a college degree in arboriculture, and pass an examination. 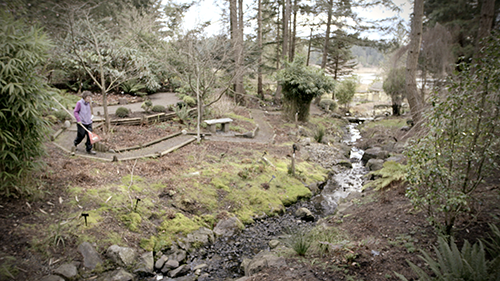 For more information, see the PNW-ISA site at www.pnwisa.org. As employment in this occupation tends to be seasonal, workers will experience months of strong employment growth. Opporutnities will result from the need to replace workers who retire. There will also be openings that arise from turnover as workers leave the occupation due to the physical nature of the work and/or the relatively lower earnings. The demand for landscape and horticultural technicians and specialists is connected to construction activity, population growth, and the overall health of the provincial economy. Growth in housing construction and renovation, parks development, and gardening and golfing activity have increased the demand for workers in this occupation, especially those involved in landscape design, landscaping and garden maintenance and greenskeeping services. With experience, landscape and horticultural technologists and technicians can advance to supervisory positions or start their own business.